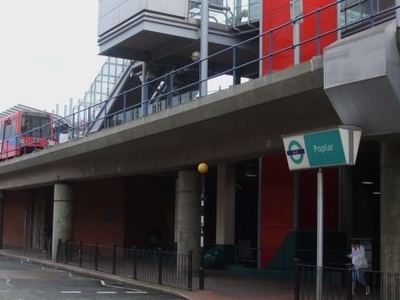 Poplar is a station on the Docklands Light Railway in Travelcard Zone 2. 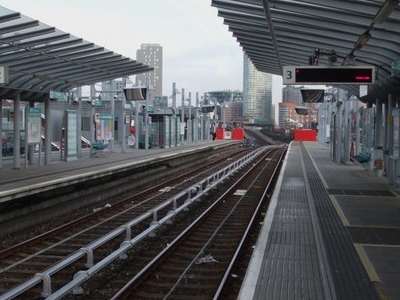 It is served by three of the six regular routes on the DLR (Stratford-Lewisham, Bank-Woolwich Arsenal and Tower Gateway-Beckton) making it one of the busiest stations on the network in terms of services. Here's the our members favorite photos of "Metro Stations near London Borough of Tower Hamlets". 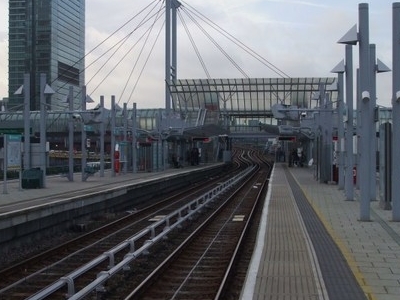 Upload your photo of Poplar DLR Station!